Home >> Daily Dose >> Is Your Area Considered “Tough to Build”? Is Your Area Considered “Tough to Build”? Though some would believe that the hardest places to build would be where permits and proposals are constantly denied, this isn’t the case. According to Issi Romem from BuildZoom, you should look more at where proposals aren’t even being submitted because developers know better than to waste their time. In other words, BuildZoom explained if you think of places where funding isn’t an issue, but new developments still aren’t popping up, that is where building is a problem. This issue can be explained by many different variables such as geography, man-made constraints on what can be built, or in most cases both. However, as there are always exceptions to the rule, the “rust-belt” has existing homes that were left over from better economic times. 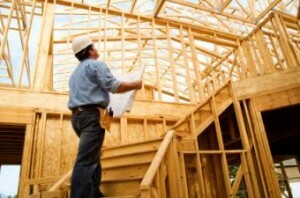 Compared to housing needs, there is little necessity for new home construction. When it comes to downtown areas, despite difficulty to even find parking, it is not the toughest place to build—it’s actually is in the inner suburbs. Downtown areas accept the density that is involved, but there are local land rules in inner suburbs that prohibit dense construction outside of downtown or near public transportation. The top three “toughest-to-build” neighborhoods are Venice Beach in Southern California, Prospect-Lefferts Gardens in Brooklyn, and the Fishtown section of Philadelphia. Lastly, areas that have “matured,” or exclusive and wealthy low-density enclaves, normally don’t have areas that can still be built upon and fail to produce any new construction. In these areas, gentrification is less common and homes tend to appreciate and create the exclusive and wealthy enclave. The Villages in Houston and Brookhaven in Atlanta are examples of these.